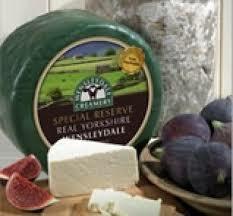 From the Wensleydale Creamery in Hawes, Wensleydale Special Reserve is a slightly aged version of the famous Yorkshire export, and is certainly worth the wait. 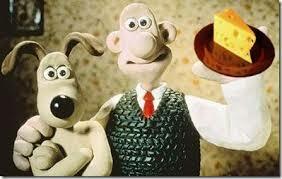 It has the usual clean flavour and crumbly texture you’d expect of Wensleydale, but with a fuller flavour. Cheese production in Hawes has a fantastic history. The first creamery was built in 1897, and just about survived the depression of the 1930s. Eventually finding itself in the hands of Dairy Crest, the creamery closed in May 1992, but former employees and a local businessman managed to get things back on track and cheese was produced in time for Christmas. Since then it has gone from strength to strength – it continues to make fantastic cheese, using local milk, helped along the way by some unlikely plasticine ambassadors.